This is the full and detailed views of the dust cover for the first edition of The First Eagle. This copy was published in 1998 by HarperCollins Publishers in New York, New York. Design and Photography Credits: The jacket design and illustration is by Peter Thorpe. 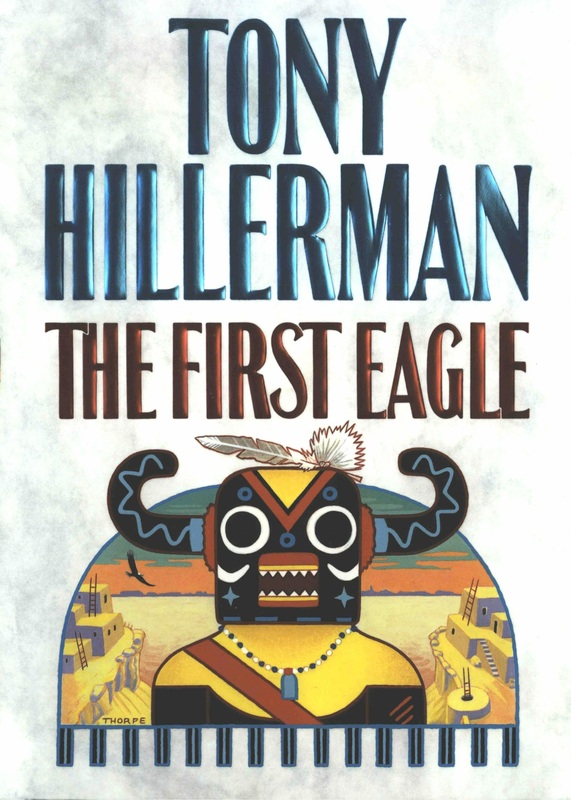 The cover depicts a kachina masked figure, which somewhat resembles Ahote kachina, standing in front of a half moon shaped frame containing a Pueblo cliff village and an eagle swooping through a southwestern sunset.